The Batesville Community School Corporation selected Corporal Dave Abel as School Resource Officer. Cpl. Abel, a 20-year veteran of the Batesville Police Department, will begin his tenure with the school corporation in August. 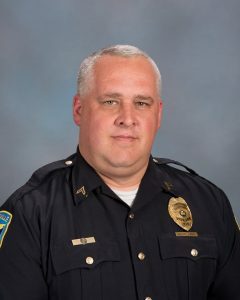 He began his career with Versailles PD in 1993 and also served at the Ripley County Sheriff’s Office before joining BPD in 1997. Cpl. Abel has held various positions throughout his career such as Dare Officer and Detective. His current position consists of being a night shift supervisor and the department’s training coordinator. He received the Batesville Police Department’s Medal of Valor in 2016. This entry was posted on July 5, 2017 by Steven Harmeyer.